• Its aqueduct spans 336 miles from Lake Havasu through the Valley and south to the Tucson area. • At present, delivers about 1.6 million acre-feet of water a year. • Managed by the Central Arizona Water Conservation District. There is a 61 percent chance of the U.S. Interior Department declaring a shortage on the lower Colorado River by 2017, a Central Arizona Project official told state lawmakers Thursday. 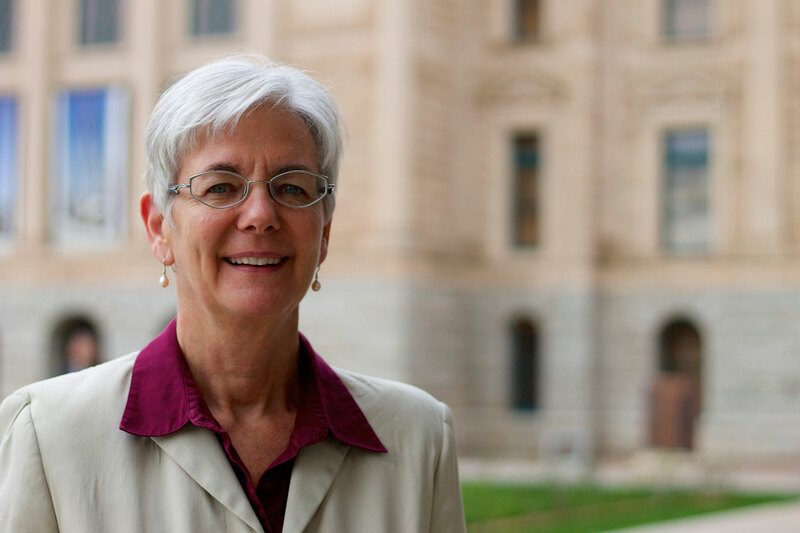 That declaration would trigger a cut in water that in recent years has been stored underground in anticipation of a shortage as well as water allocated to central Arizona agriculture, Deputy General Manager Marie Pearthree told the House Agriculture, Water and Lands Committee. “Municipal and industrial water to cities do not take a shortage unless Lake Mead drops significantly further,” she told Cronkite News after her talk. The elevation of Lake Mead determines whether or not there is a shortage along the Colorado River. Right now, the lake’s surface is around 1,089 feet above sea level, or 42 percent of capacity. A level one shortage would be declared if the lake’s elevation drops below 1,075 feet. If the elevation drops below 1,025 feet, Arizona’s allotment would be reduced by 480,000 acre-feet. The state’s total Colorado River allotment is 2.8 million acre-feet, and at present the CAP delivers about 1.6 million acre-feet of that amount each year. Pearthree said that without any action to protect what’s left in Lake Mead, elevation could fall below 1,000 feet within five to eight years, severely impacting all Colorado River users. “Then it’s a whole new sort of ballgame that we all have to sit down and talk about how deal with,” she told the committee. For example, she said, the Southern Nevada Water Authority’s ability to withdraw water would be severely diminished. It also would reduce the efficiency of power generation at Hoover Dam, Pearthree said. To combat the shortage, the CAP, as well as the Arizona Department of Water Resources and the U.S. Bureau of Reclamation, has been working with other states on a plan to address a structural deficit that has more water drawn from the lake than can be recharged. Just last month, Pearthree noted, water agencies in Arizona, California and Nevada agreed to a plan to save 740,000 acre-feet of Colorado River by 2017 to help Lake Mead. “That could, assuming we meet that obligation, raise the lake water by about 10 feet,” she said. Pearthree noted that because the predicted shortages haven’t happened yet people are much more likely to come together and figure out a solution. Marie Pearthree, deputy general manager of the Central Arizona Project, briefed state lawmakers Thursday on the Colorado River.